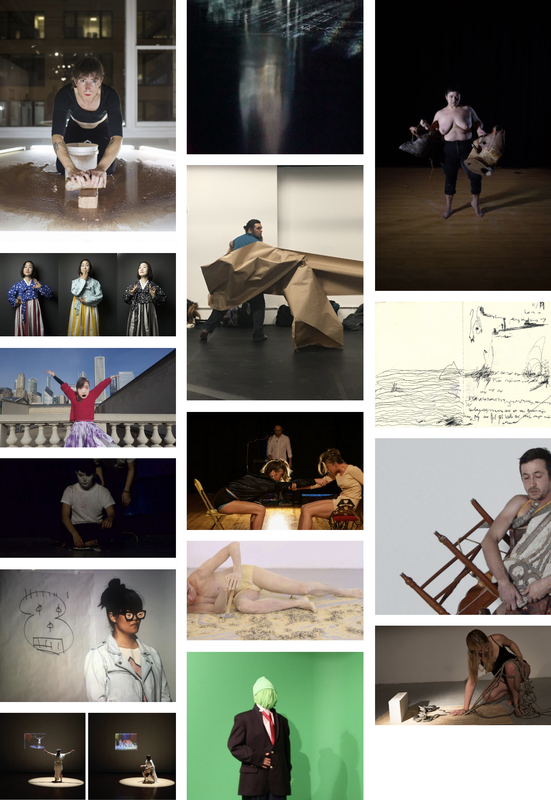 The IMPACT Performance Festival showcases MFA and BFA Candidates from the School of the Art Institute of Chicago who are presenting work in live performance and time based media. This year participating artists include: Aram Atamian, Wanbli Gamache, Li-Ming J. Hendrix, Christopher Huizar, SUNGJAE LEE, Helen Lee, Kyra Lehman, Chloe Yu Nong Lin, Katie L. O’Neill, polina protsenko, Zachary Sun, Lariel Joy, Phaedra Beauchamp, Maria Luisa, Marie Peña. Free open to the public. Opening Reception: April 19, 7:00 p.m. The associated exhibition highlights the many forms through which contemporary performance work can be presented. ​IMPACT is co-presented by the SAIC Departments of Exhibitions and Performance.